Disclaimer: Both review samples were sent to us by PlusSound Audio free of charge, we only paid the import costs. PlusSound isn’t a site advertiser but as we got this for free I’m putting up a banner in this article. 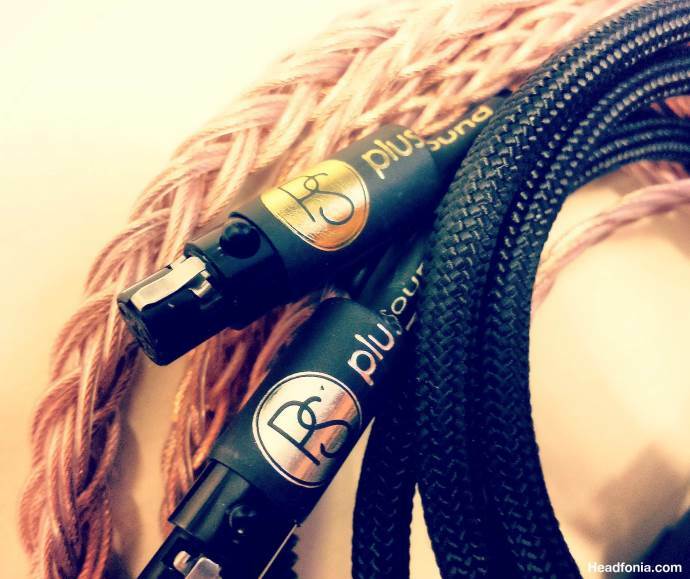 PlusSound Audio is a company based in the US (LA, California) and they specialize in making aftermarket cables, interconnects included. PlusSound also is the maker of the very good battery driver Cloud Nine (portable) amplifier both Nathan and I liked very much. 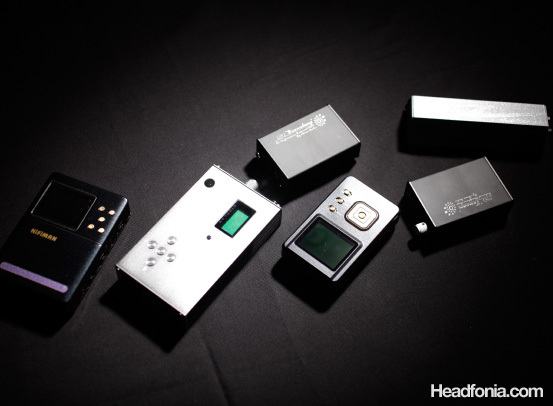 Next to that they also offer a number of other audio accessories like bands, pouches, boxes and custom headphone bands. Recently they started doing 3D inear impressions so you can use the same “scan” when you’re getting custom IEMs from different suppliers. 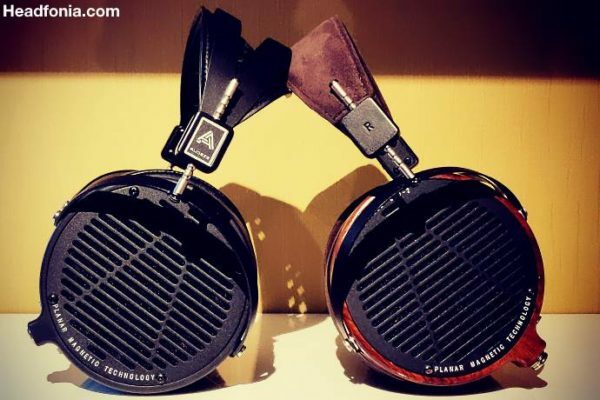 You can also buy Audeze headphones from their shop. They of course have several dealers worldwide. 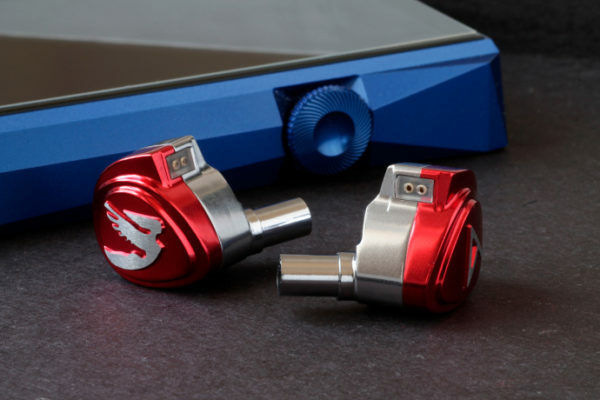 PlusSound Audio was founded in 2012 and their mission is providing consumers unique products that provide exceptional quality and sound. 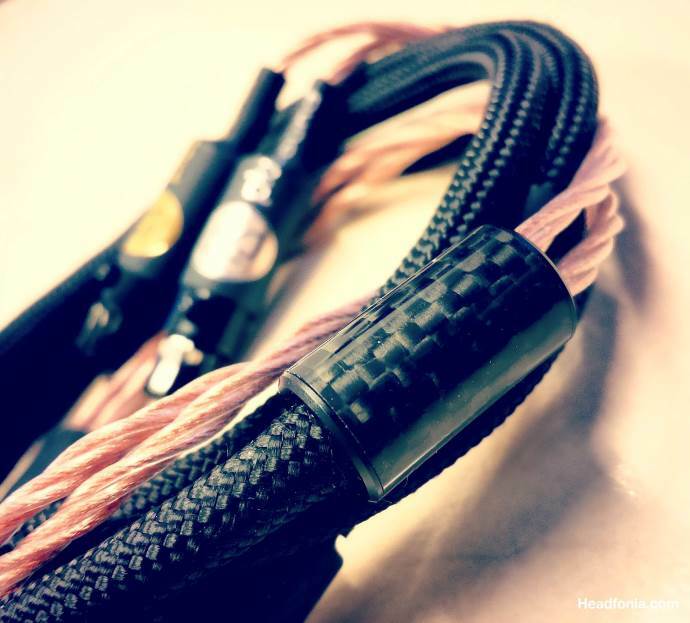 In this article we will be looking at two different cables: the Apollonian+ and the TOTL X16 headphone cable. 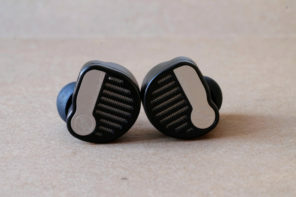 PlusSound says: Designed specifically for high end headphones, our X16 series quadruples the wires, sound, and build of our Exo by using SIXTEEN (16) high quality custom designed UPOCC stranded wires with durable and flexible polyethylene outer insulation which are braided to provide better quality sound while reducing low range and interference noises. Our special Type 6 Litz wires will prevent electrical anomalies such as skin effect and proximity effect, in addition to preventing oxidation by applying a special enamel coating to individually insulate every strand for long lasting sound quality and appearance. Each wire features multiple proprietary dampening cores for vibration reduction – keeping conductivity constant throughout for the best quality sound. To optimize durability, we cryogenically treat all wires to strengthen the structure. Our approach to cable design provides similar flexibility as found in the rest of our cables and is kept lightweight to prevent damaging of headphones and connectors due to excessive weight. Constructed with only the highest quality components, the X16 is the endgame of headphone cables. Designed for audiophiles and purists, this new design – built from the ground up, uses newly modified cryogenically treated UPOCC Type 6 Litz with 7-core dampening made from new proprietary material, enamel coating to prevent electrical anomalies such as skin and proximity effect with a special additive-infused transparent polyethylene insulation for low capacitance and dialectric constant reduction delivering optimal high conductivity. The added PE/MF insulation, tri shielding, and multi dampening covering the wires offers a noise-free environment, resulting in the highest resolution and cleanest sound that has never been heard before in other cables. 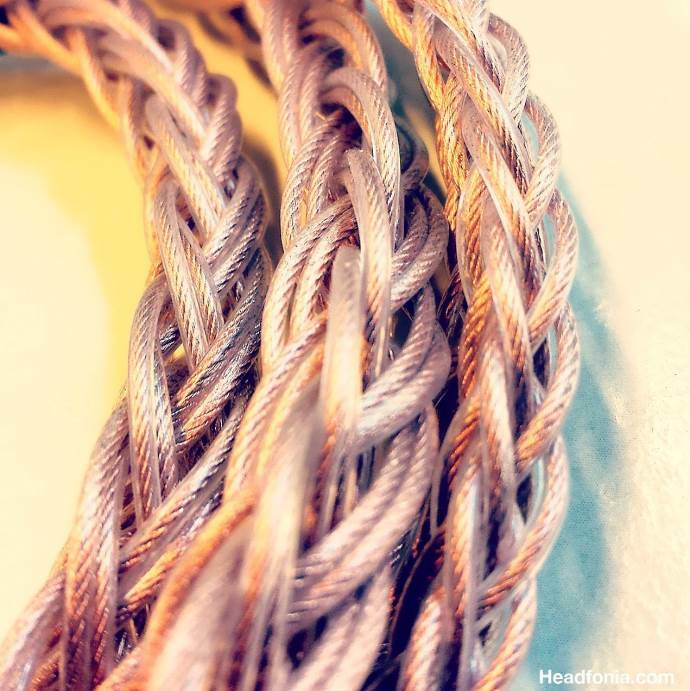 All conductors are cryogenically treated for long lasting sound and cable structure. If you are looking for the most advanced cable available on the market, this is it. Both of these cables were terminated with Audeze connectors and 4-pin XLR termination. The reason I chose for these termination is because I have several Audeze headphones, because my Hifiman units use Hifiman to Audeze adapters and because my Violectric V281 sounds best in balanced configuration. Both cables use Copper Type 6 Litz wires. 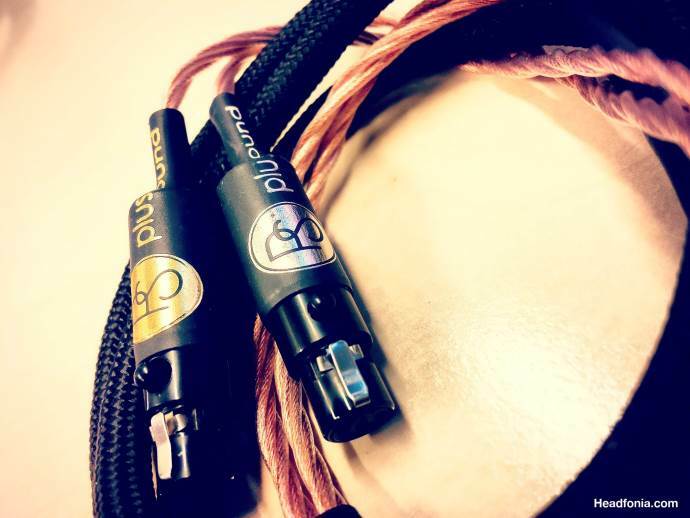 It doesn’t take long to see and realize that PlusSound has a lot of experience with building top quality aftermarket cables. The cable pictures in their galleries on Facebook and Instagram do all the necessary talking. The 4ft sleeved 8 strand Apollonian+ cable has a perfectly fitting black soft sleeve all the way up to the splitter. After that carbon looking splitter, the bare cables are visible and the twisted two times four copper cables have a see-through shielding/sleeving. The slider is made out of simple black heat shrink. Both terminations and (PlusSound logo) heat shrink on both ends of the cable are perfectly done. The 4 pin male XLR plug is a Neutrik nc-mxx connector. The cable itself is light, flexible and easy to use, you can even “wear” it under your t-shirt without any issues should you want to. Just to say you could use this cable on the go. I actually have the exact same cable but finished with the standard 2-pin connector and 3.5mm plug, and I use it all the time with my custom in ear monitors when I am out. The 4ft 16 strand X16 cable – what’s in a name, right? – logically is a lot bigger as it holds double the amount of cable. The beautiful and tight braded cable has a square look to it and there’s no sleeving anywhere. And the amplifier’s end we find a nc-mx Neutrik connector. One centimeter from that plug is a black and purple logo’d piece of heat shrink. The Y-splitter is a stock black one but there is no slider on the cable even though you can opt for one. The Audeze plugs at the headphone’s end have a gold and silver logo heat shrink. The weight of the X16 cables is almost double that of the Apollonian+ cable. It’s a great cable for use at home but because of its size and weight it isn’t the most portable cable. In contrast to the Apollonian+ cable, you will feel this cable hanging on your headphone and laying on you while listening. It’s not too heavy that it’s annoying or anything but you just have to take in to account this is a fairly big cable. The 16 strands have the same shielding of course as the other cable, seeing this is the exact same cable used but in a double configuration. The X16 is gorgeous and not low profile. The square braiding structure oozes quality. Next to that PlusSound of course will listen to your special request. Christian is always willing to help or find a solution and I over the years have always gotten a quick reply to all of my enquiries by email. For those who want to make their own PlusSound cable Christian offers connectors, wires and other PlusSound DIY parts in his shop. Making a working cable isn’t that hard but making a perfectly finished cable like the guys from PlusSound do, that’s another story. Those of you who are handy can of course try for themselves and use our cable building guide.